10 Outstanding Newborn Baby Products Every Family in 2019 Needs - Kate's Blog about kiddies! Babies are wonderful, but they don’t come with any accessories. 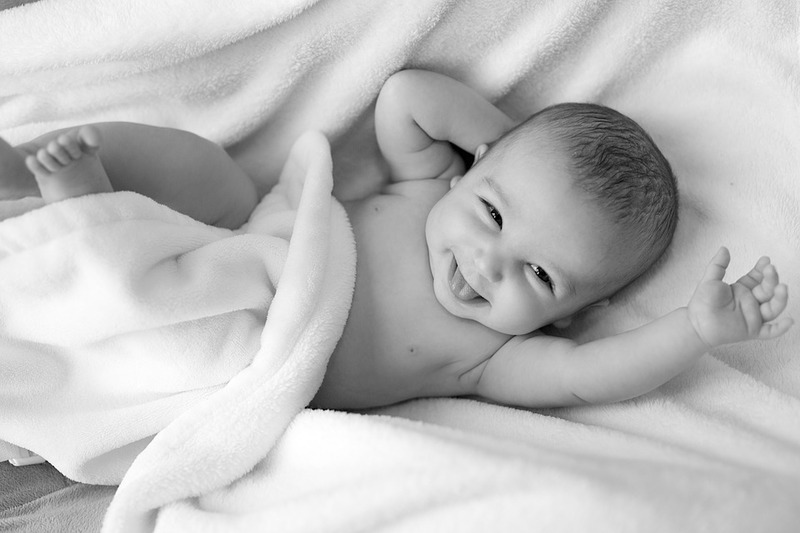 The products you can purchase for newborn babies are countless. It is hard to weed out the useful products, that can make your adjustment to caring for your baby easier, from the unnecessary vanity products. It is easy to be tricked by something that is less convenient than it first seemed on an advertisement. By educating yourself on the essential items, you can get everything your baby needs while saving money on not over-purchasing. It should go without saying that you need a safe place for your baby to sleep. While bassinets are handy when the baby is in their most precious state, the use of this item is limited to less than six months. Crib safety is an essential thing to research before the arrival of your bundle of joy. If you purchase a crib used, make sure it is up to date for all regulations. The structure of a crib is important, do not use a crib if any pieces are broken or heavily damaged. Unsecured or wobbly supports could cause a crib to collapse if your baby likes to shake the bars. The mattress is also an important factor to keep in mind. Many baby mattresses are memory foam and some of these materials have expiration dates. Mattresses that have been outside or too heavily used could be harbouring dangerous germs as well. A waterproof mattress cover will also be a useful tool in preserving your mattress. It is best to opt for a bath seat instead of an entire baby tub. Baby tubs are hard to store and a hassle to drain and fill. Plus, the baby will grow at an astounding rate, leaving you with a big awkward object to store after a few months. A small simple seat, with a belt to stop your baby from rolling, will be easier to store and can help your baby learn to sit in the tub when they learn to stand up. Pack N Plays make travel easy. This type of portable crib is a great tool for naps away from home and wrangling your baby to keep them safe while you get something done around them. While this tool is useful for naps or a week away from home it is not a suitable substitute for a full-time bed. Some pack n plays come with a detachable changing station and bassinet. This can be great in place of an entire bassinet since a Pack N Play is vital throughout the first years of your child’s life. A newborn baby cannot feed themselves and a nursing pillow is vital whether a parent is breastfeeding or bottle-feeding. Versatile nursing pillows can serve many functions throughout your baby’s developmental stages while feeding. They can be used to take stress off of a parent’s arm while holding them and can help support a baby sitting up when they are older. Babies make messes, especially in their early stages. A slight disagreement in your baby’s belly can cause a night of spitting up and having a surplus of burp cloths will be a necessity. These soft absorbent cloths will naturally be easy to find uses for. Protect yourself while burping the baby, or clean up little messes from juice or meals. Not to mention the soft material will be easy on your baby’s skin. Most who settle with regular trash can immediately notice that the smell of waste, even if from a tiny human, can be overpowering. A Diaper pail with odour lock will save you a trip out to your trashcan every time you change a stinky diaper. Gliders and rocking chairs are not simply for decoration or comfort of the mother. The actual rocking motion is a known trick to soothe a fussy baby. This can be calming to the parent, and great for bonding as your baby is lulled to slumber. At first, you will want to do nothing, but hold you baby, but the little one will begin to gain control of their body and want to move. All of this wiggling can be done safely from a clean playmat. A baby should get practice lifting their head to build neck muscles. There are playmats that convert into more age-appropriate toys, like a ball pit. These two items are vital to transporting your baby or taking them out for an event. A carrier will be more convenient indoors but a stroller is much easier on longer walks. Some designs are even just one device that actually turns into the stroller with the press of a button. Investing in a carrier cover will also be useful in protecting your baby from the elements outdoors. An entire set can be purchased together at many vendors, and Baby & Co. specializes in the safety of our little babies. With new products coming out every day, it can be tempting to purchase every item showcased on a cool infomercial. Understand that a newborn will only stay so small for so long and grow out of many items within months. Keep an eye out for items that convert to work for older ages. Shop wisely and consider the great baby products on our list to make your transition into parenthood as smooth as possible. You cannot predict everything that is going to happen, but you can come prepared.